The Ministry of Housing & Urban Affairs has embarked upon one of the most ambitious programmes undertaken in the world for Urban renaissance for rejuvenating and transforming Indian cities through several initiatives including infusion of more than Rs. 6,85,758 crore for ensuring citizen friendly urban areas. transformation has been undertaken by way of implementing key urban reforms, projects for urban rejuvenation, construction of public and household toilets and solid waste management under the Swachh Bharat Mission, initiation and implementation of more than 5000 Smart City projects worth Rs.2,05,018 crore under the Smart City Mission, sanctioning of more than 65 lakh houses for construction under the Pradhan Mantri Awas Yojana in urban areas, provision of water, sewerage and sanitation under the Mission AMRUT by sanctioning projects worth Rs.77,640 crore, augmenting the urban transport by way of new metro lines, embarking on an ambitious target for skill development of urban youth for gainful employment under DAY-NULM and approving implementation of city HRIDAY plans for 12 cities. Ministry is also vigorously pursuing reforms in the real estate sector for the benefit of home buyers by ensuring implementation of RERA in all parts of the country. 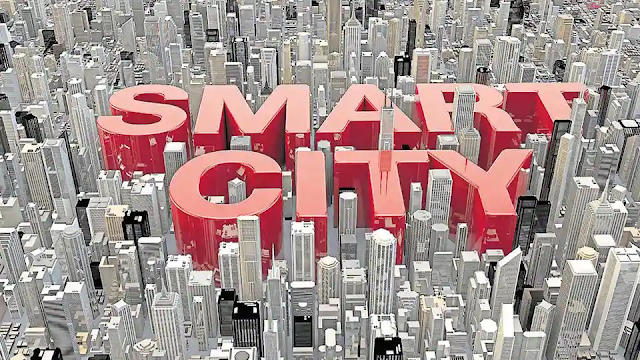 Under the SCM, 100 Smart Cities have been selected in 4 Rounds based on All India Competition. All 100 cities have incorporated Special Purpose Vehicles (SPVs). For Smart Command & Control Centres projects worth Rs. 1,558 crore in 11 cities have been completed; projects worth Rs. 3,049 crore in 29 cities are under progress; further tenders have been issued for projects worth Rs. 2,730 crore in 21 cities. For Smart Roads projects worth Rs. 228 crore in 4 cities have been completed; projects worth Rs. 3,819 crore in 34 cities are under progress; further tenders have been issued for projects worth Rs. 2,069 crore in 10 cities. For Smart Water projects worth Rs. 902 crore in 18 cities have been completed; projects worth Rs. 5,961 crore in 35 cities are under progress; further tenders have been issued for projects worth Rs. 921 crore in 17 cities. For Solar projects worth Rs. 58 crore in 8 cities have been completed; projects worth Rs. 828 crore in 42 cities are under progress; further tenders have been issued for projects worth Rs. 300 crore in 9 cities. For Visible and impactful projects, worth Rs. 179 crore in 16 cities have been completed; projects worth Rs. 3,701 crore in 32 cities are under progress; further tenders have been issued for projects worth Rs. 2,828 crore in 20 cities. Value Capture Finance (VCF) Policy Framework was released by the Ministry on 28th February 2017. It is an important tool for generating much needed additional finances required by the States / Cities for funding the infrastructural investments. So far 17 States have already engaged professional firms for preparing the VCF framework. 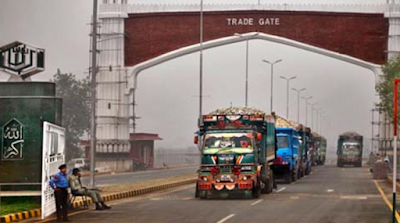 This is expected to help the States generate additional revenue. The “Ease of Living” Index is an initiative of the Ministry of Housing and Urban Affairs (MoHUA) to help cities assess their liveability vis-à-vis global and national benchmarks and encourage cities to move towards an ‘outcome-based’ approach to urban planning and management. It was decided in June 2017 to rank 116 cities based on the liveability parameters. The implementation of the assessment commenced formally on 19 January, 2018. The Ministry has launched the outcome/rankings of 111 cities on the Ease of Living index on 13 August, 2018. The framework covers all the critical pillars of urban development (Physical, Institutional, Social and Economic) and uses 78 indicators across 15 categories (governance, identity and culture, education, health, safety and security, economy, affordable housing, land use planning, public open spaces, transportation and mobility, assured water supply, waste-water management, solid waste management, power, and quality of environment). Indian Smart City Fellowship and Indian Smart City Internship programs were launched on 9 July 2018. More than 3000 applications were received for Fellowship. The first batch of 30 young graduates/post graduates and PhDs in the fields of Urban Planning, Urban Design, Engineering, Information and Technology, Urban Mobility, Finance, Social Sector and Environmental issues has been selected by the Ministry in November 2018. An all-India Challenge named CITIIS (Cities Investments to Innovate Integrate and Sustain) was launched on July 9, 2018 in partnership with Agence Française de Dévelopement (AFD) and European Union. A Loan of EUR 100 million will be extended by Agence Française de Dévelopement (AFD), which shall be given as a grant to Smart Cities for implementation of 15 innovative projects selected through the All-India Challenge. The projects would be in four sectors- sustainable mobility, public open spaces, urban governance & ICT and social and organizational innovation in low-income settlements. Technical support with global expertise will be provided for preparation and implementation of selected demonstrative projects. A preparatory Workshop on CITIIS was held with international experts in September 2018. Proposals submitted by cities are under evaluation. Smart Cities Digital Payments Awards 2018 were launched on 9 July, 2018. The objective of the awards is to guide, motivate, recognize and reward the Smart Cities for promoting digital payments and carrying out innovative payment initiatives. 65 cities have participated in Stage II of the questionnaire. The submissions are under evaluation. Results will be declared shortly.